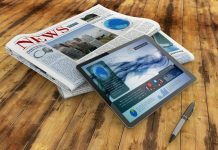 Canadian consumers are more comfortable with levels of truth and accuracy in traditional media versus digital media, a recent study finds. 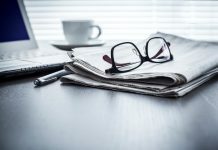 According to Advertising Standards Canada and the Gandalf Group's report Consumer Perspectives on Advertising 2016, Canadians continue to have a favourable impression of advertising they see, hear, or read. 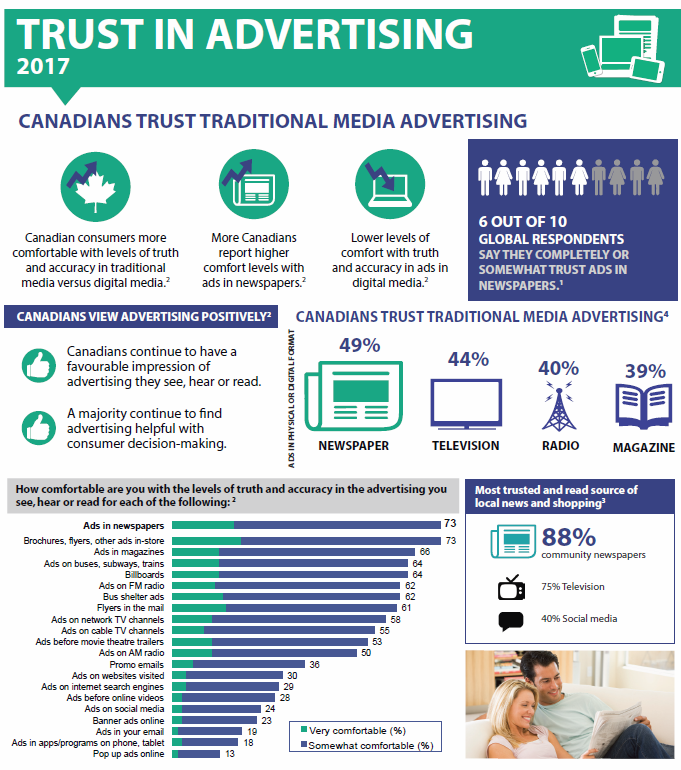 Newspapers Canada has created the attached fact sheet drawing on data from multiple sources, including: the Advertising Standards Canada report; Nielsen's Q1 2015 Global Trust in Advertising Survey; Environics Communication's CanTrust Index; and survey research compiled by Earnscliffe Strategy Group. 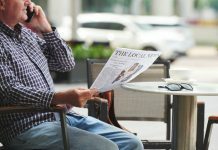 Overall, this data reflects a hopeful trend for publishers: that people tend to gravitate towards information they find trustworthy and reliable. We encourage you to use this fact sheet in tandem with our publisher's presentation, which can be accessed here.